Calender Lady are specialist's with custom shaped mouse mats for business gifts. Consider other shapes rather than just rectangle, perhaps oval or circular. To advertise your company brand name to your customers - why not have some quality, foam backed mouse mats on the customers desk's? Customised - personalised and tailored to the customers needs to catch attention and promotional brand awareness. With a large print area of 235 x 200mm, be sure to advertise with success, of your business logo. Give these away as business giveaways of freebies - either through trade shows or through an a4 envelope. You cannot beat a direct approach quite like a promotional mouse mat. To find out more about our Custom Shape Mouse Mat for Business Gifts<< click here and fill in the contact form and we'll get straight back to you. 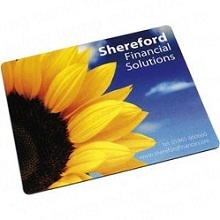 Other promotional and personalised items besides our Custom Shape Mouse Mat for Business Gifts<< click here. Aquamat with logo<< Click here. Promotional britemat mouse mat<< Click here. Eco-mouse mat with logo<< Click here. Thin Promotional Mouse Mat<< Click here. Colour mouse-mats mix and match with logo<< Click here. Round circular or square promotional mouse mat<< Click here. Promotional photo mouse mat<< Click here. Personalised mouse mat for company freebie<< Click here. Logo branded mouse mat<< Click here. Promotional mouse mat and coasters pack<< Click here.